I highly recommend this! The rapids at Telaga Waja are faster than Ayung River, it was way more fun! Our guide was super friendly too! 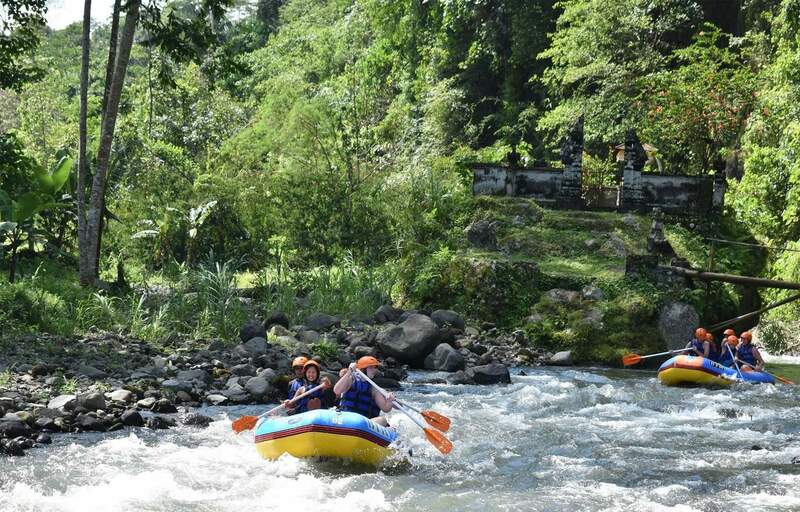 Travel the off beaten path in Bali and go white water rafting down the Telaga Waja River. Despite being in a quiet and secluded area, white water rafting is a wild (albeit safe) water sport that's perfectly suited for nature lovers and adrenaline junkies alike. You'll be assisted by a professional team, so there's nothing to worry about at all. Throughout the 14 kilometer course, you'll get to see beautiful panoramas of mountains, waterfalls, rice fields, and stone cliffs. Around Rendang Village, you'll be greeted by fresh mountain air and (if you're lucky) wild exotic birds. A delicious chef-prepared Indonesian buffet lunch will be waiting for you at the finish point. Well organised! We were pickup from hotel to BTS. Coffee was served and after registration we were lead by their pro raft man. The journey was relaxed and enjoyable. Ending point with just a 2mins walk, given towel to wash up, changing and lunch buffet was terrific! Highly recommend. Well organised! We were pickup from hotel to BTS. Coffee was served and after registration we were lead by their pro raft man. The journey was relaxed and enjoyable. Ending point with just a 2mins walk, given towel to wash up, changing and lunch buffet was terrific! Highly recommend. Interesting experience! Wasn’t as exciting and thrilling as we hoped but worth trying out. You may need to tip the white water rafting guide as well (optional). Interesting experience! Wasn’t as exciting and thrilling as we hoped but worth trying out. You may need to tip the white water rafting guide as well (optional). This was cheaper than the other ones which doesn’t mean it’s not as good. We loved it, beginner to intermediate level and loads of fun. The instructors were really nice people and food was good as well. This was cheaper than the other ones which doesn’t mean it’s not as good. We loved it, beginner to intermediate level and loads of fun. The instructors were really nice people and food was good as well. Our guide took really good care of us, helping steer the boat and getting us out whenever we were stuck on the rocks. He provided excitement for us during calmer moments by splashing water on us haha. Scenic view along the way with many waterfalls and vines with a rest stop in between to take photos. A pity the drop at the end was dry during our trip as they were irrigating the paddy fields, but not their fault! They tried their best and we had fun! Pretty mild, suitable for children and beginners, not to worry! Our guide took really good care of us, helping steer the boat and getting us out whenever we were stuck on the rocks. He provided excitement for us during calmer moments by splashing water on us haha. Scenic view along the way with many waterfalls and vines with a rest stop in between to take photos. A pity the drop at the end was dry during our trip as they were irrigating the paddy fields, but not their fault! They tried their best and we had fun! Pretty mild, suitable for children and beginners, not to worry! This is definitely one of those adventures activities we did in bali. It was really fun and the instructor that was in our boat was really friendly and lively and fun so we had a really great time. The activity was really fun would really recommend those who is coming to bali and wants to do something fun this is definitely one of it! The guide who picks us up and sent us back to our hotel was also really nice. A 5 star for this! This is definitely one of those adventures activities we did in bali. It was really fun and the instructor that was in our boat was really friendly and lively and fun so we had a really great time. 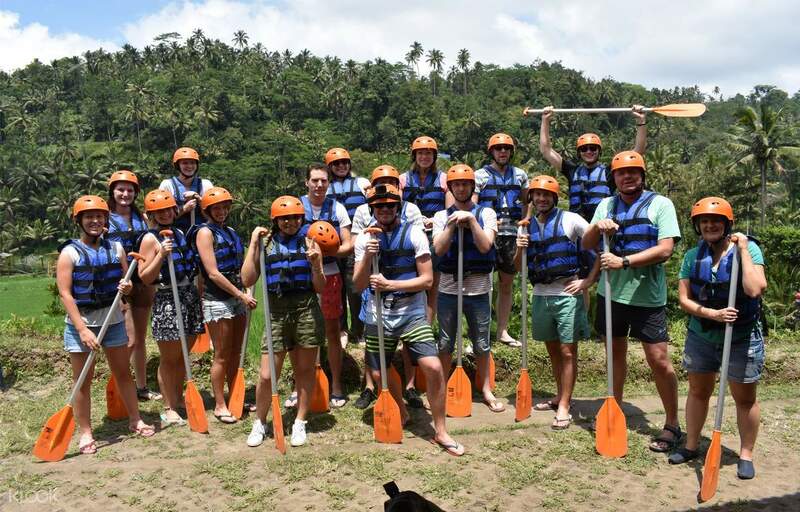 The activity was really fun would really recommend those who is coming to bali and wants to do something fun this is definitely one of it! The guide who picks us up and sent us back to our hotel was also really nice. A 5 star for this! This activity is worth every single cent. This is my second time white water rafting and I must say that this is a lot more exciting than my previous experience. The 2.5 hours start off deceptively relaxing but the fun starts after 5 minutes and continues on for the rest of the experience. Perhaps a testament to how fun and exciting the whole activity is, my group didn’t have to paddle at all after the first 5 minutes. 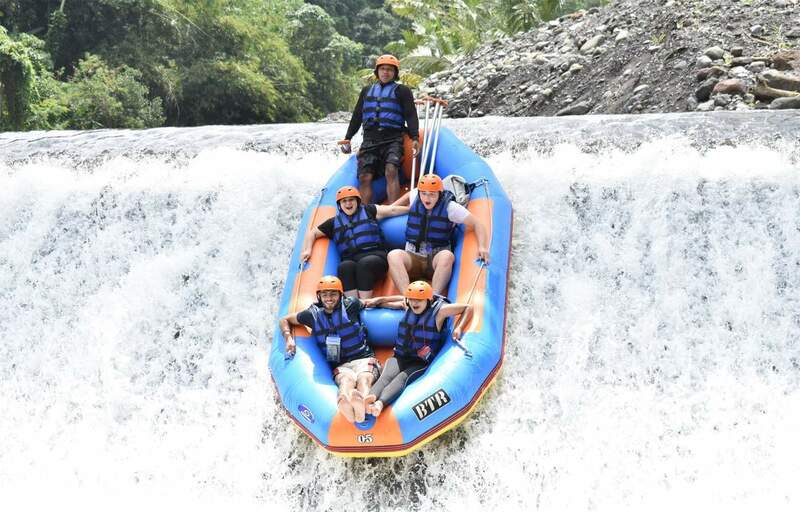 This is a definite must try for anyone visiting Bali and looking for a (safe) adrenaline rush! This activity is worth every single cent. This is my second time white water rafting and I must say that this is a lot more exciting than my previous experience. The 2.5 hours start off deceptively relaxing but the fun starts after 5 minutes and continues on for the rest of the experience. Perhaps a testament to how fun and exciting the whole activity is, my group didn’t have to paddle at all after the first 5 minutes. This is a definite must try for anyone visiting Bali and looking for a (safe) adrenaline rush! The experience was a good one, the guide for the rafting tour was fun and made sure that we were well taken care of. Do note that even though lunch is provided, drinks are not provided and need to be purchased. The experience was a good one, the guide for the rafting tour was fun and made sure that we were well taken care of. Do note that even though lunch is provided, drinks are not provided and need to be purchased. Fantastic day out! Our guide, Wayan was very friendly and fantastic at steering. We has a lot of fun with him as our guide. So much so, that we tipped him at the end. Didn't receive a confirmation from the company but the pickup service arrived promptly. It took us about 1.5hrs to get to the river from Ubud. And then the actual rafting is about 2.5-3hrs. I went with my 65yr old parents and all 3 of us had a blast. There were people of all ages, including kids. It's not a lazy river ride which is what the Ayung River rafting sounds like. But that's why Telaga Waja river is way more fun. Spotted people on the Bali Sobek raft tour as well, and honestly, there was no difference between BTR and Bali Sobek. Except that Bali Sobek costs twice the price. Fantastic day out! Our guide, Wayan was very friendly and fantastic at steering. We has a lot of fun with him as our guide. So much so, that we tipped him at the end. Didn't receive a confirmation from the company but the pickup service arrived promptly. It took us about 1.5hrs to get to the river from Ubud. And then the actual rafting is about 2.5-3hrs. I went with my 65yr old parents and all 3 of us had a blast. There were people of all ages, including kids. It's not a lazy river ride which is what the Ayung River rafting sounds like. But that's why Telaga Waja river is way more fun. Spotted people on the Bali Sobek raft tour as well, and honestly, there was no difference between BTR and Bali Sobek. Except that Bali Sobek costs twice the price.